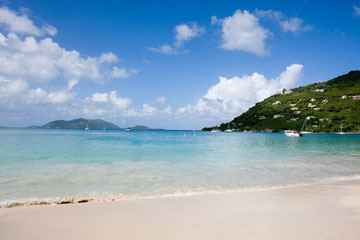 Is Cane Garden Bay one of the best Caribbean beaches? 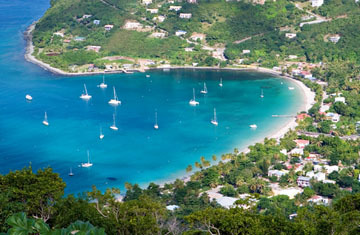 Cane Garden Bay might just be one of the best Caribbean beaches. It's certainly the most popular in the Virgin Islands. Without question you will never find yourself alone here. Cane Garden Bay is great for people watching, because it's so busy. When the cruise ships come in it gets a little to crazy for me to handle. Cane Garden Bay is too picturesque to miss, so I would advise you to visit in the morning or late afternoon.